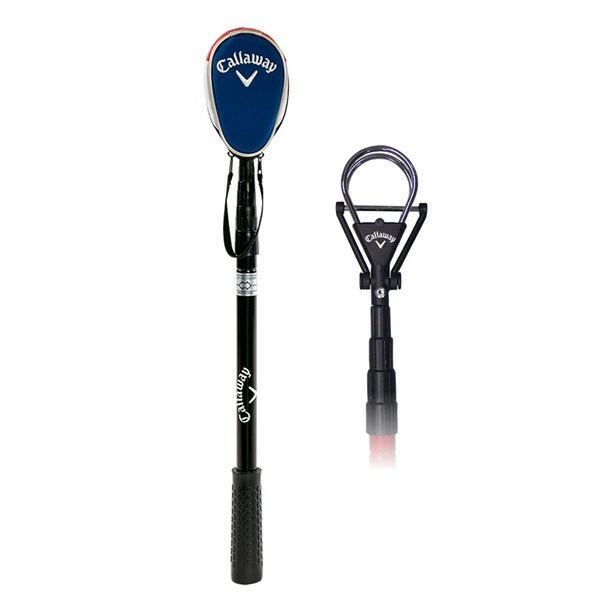 Ball retriever is constructed from stainless steel and equipped with an ergonomic sure-grip handle. The high-quality aluminum alloy will not bend when fully extended to scoop a ball out of the water. The retriever comes complete with an innovative dual zip headcover. 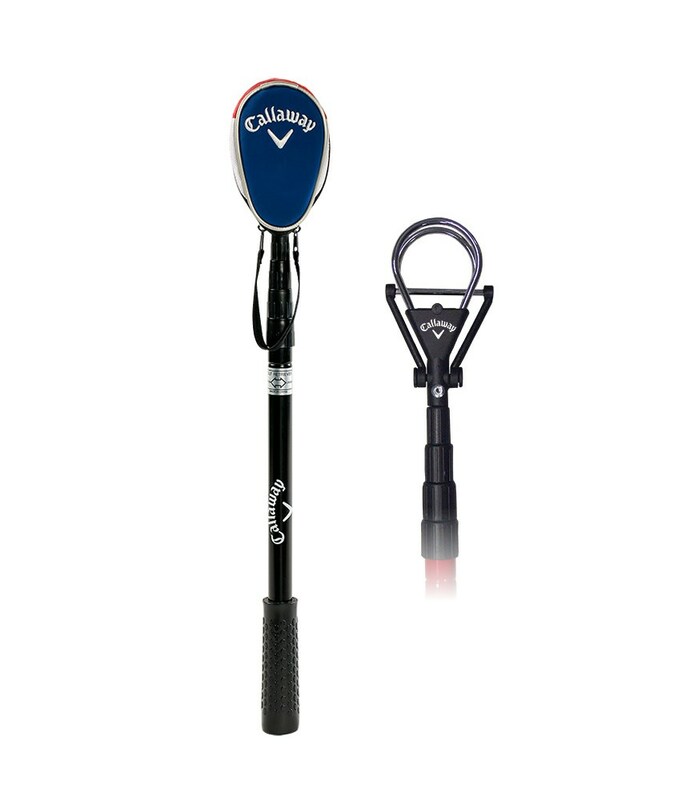 This Callaway Golf ball retriever extends to 6' to help grab your ball out of the water, rough or other unreachable area. The lightweight, aluminum alloy shaft has an ergonomic sure-grip handle and will not bend when fully extended. The retriever head has a stainless steel mechanism and comes with a logoed double zipper headcover.